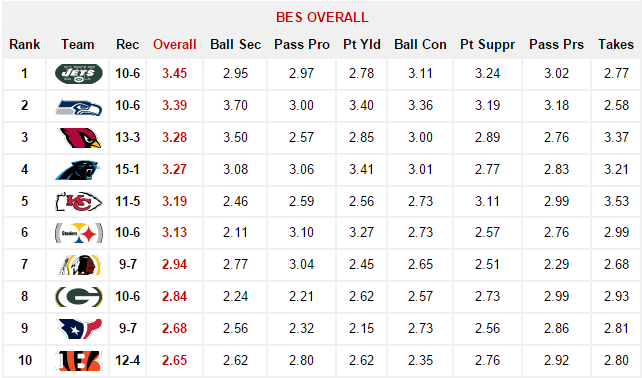 For those you who have been following the BES rankings throughout the season, you’ve become somewhat accustomed to the rather head-scratching results it can present. Well, this week’s rankings, our final issue of the 2015-2016 season, are no exception. The Jets (10-6) fell short of clinching a sixth seed in the AFC playoff race but still seized the No. 1 spot in BES Overall this week. Of the seven teams (Broncos, Patriots, Bengals, Chiefs, Panthers, Cardinals and Jets) to have held the top position in BES Overall this season, the Jets are the only team that will not participate in the postseason tournament. Though they entered Week 17 with a five-game winning streak, it was recent shocking losses suffered by several other BES Top-5 teams that gave the Jets an additional boost to No. 1. When the Seahawks (10-6) fell to the Rams (7-9) 23-16 at home in Week 16, it defused a tsunami-like wave of momentum the Seahawks were riding into that match up. Had they won, they’d have likely had more than enough upward push to secure the No. 1 spot in BES Overall for the remainder of the regular season. 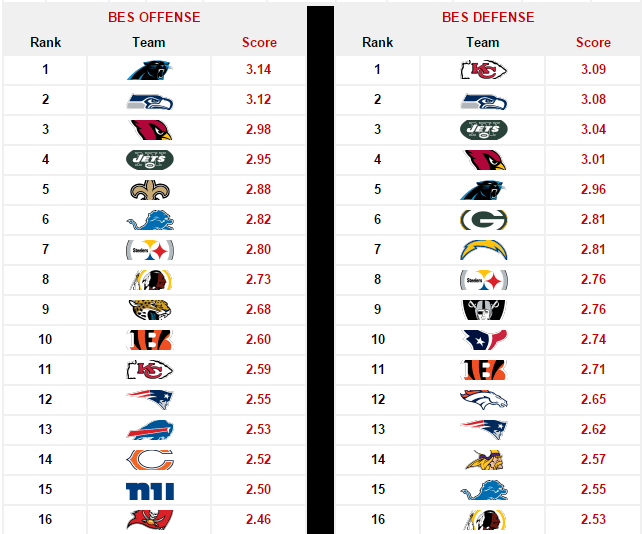 However, with the Jets eliminated from postseason play, the Seahawks’ No.2-ranking in BES Overall makes them the de-facto No. 1-ranked team among current playoff combatants. Elsewhere, we find a pair of early season juggernauts landing outside of the BES Top-10. The Broncos (12-4) were the first to obtain No. 1 in BES Overall and held it for two consecutive weeks (Week 2–Week 3). 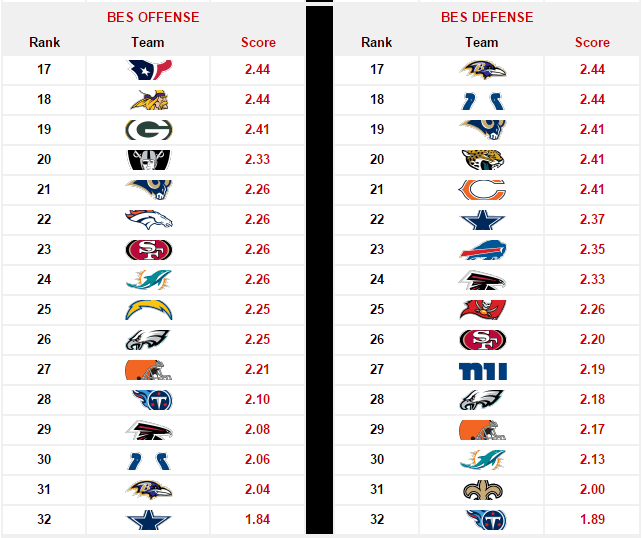 They were also the tops in BES Defense Weeks 2-4. However, after a 7-0 start, their 5-4 finish sent them sliding down the rankings to their final landing spot at No. 18, a position that certainly belies their first-place seeding in the AFC playoffs. 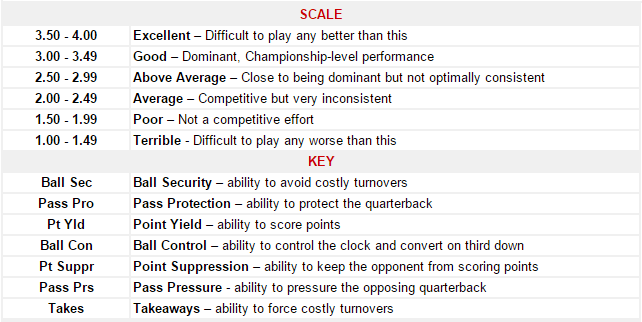 The Patriots (12-4) were another formidable presence in the BES rankings during the season’s first half. They were No.1 in the BES Weeks 4-8 and then briefly recaptured the top spot in Weeks 10-11. Unfortunately, they were hit with a rash of critical injuries on offense, causing them to go 2-4 in their final six games after a 10-0 start to the season. That poor finish paralleled their gradual descent in the BES rankings to their final position at No. 14. The BES closes the 2015-2016 season with three consecutive weeks posting an 11-5 record or better (was 12-4 in Week 15) picking winners based strictly off its rankings. On the season, from Weeks 3-17, the BES was 133-91 (.594) in predictability. That’s not bad…not great…but not bad. However, the 34-14 (.708) mark in the season’s final three weeks is impressive heading into the playoffs. 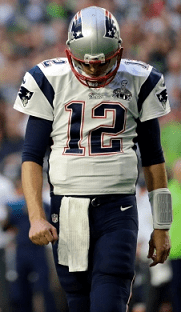 Last year, the BES was 8-3 (.727) in the postseason based on its final Week 17 rankings, including an accurate Super Bowl prediction of a Patriots victory. I like you bro, but your number 1 team didn’t make the playoffs. I’m rooting for you, but this is not good in my opinion. Especially how and who they lost too. How does that beat 10 in a row? No worries though. I’m alerted. I’ll be watching next year my man. Dez, I like that man. It’s very intricate. If you felt it was too much info being given out, no worries. I won’t say nothing. I’m only commenting to let you know I like what you’re doing with this. 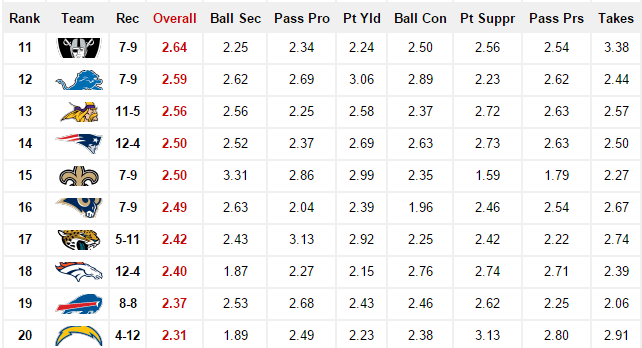 It looks like Chiefs and Seahawks are underdog frontrunners. Shhhh don’t tell the opposing fans. We can take care of this one game at a time as long as they stay healthy. CB Marcus Peters should win Defensive Rookie of The Year. 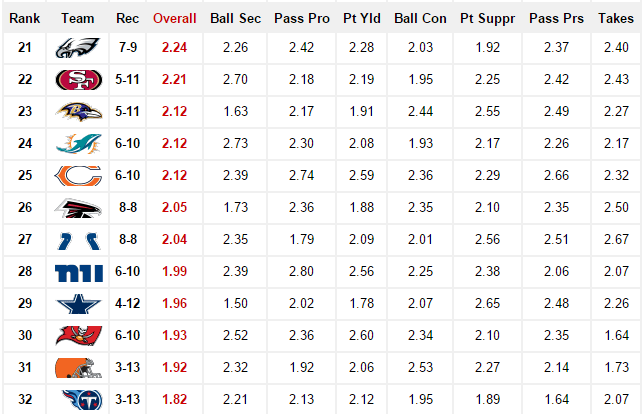 He’s also a big reason why the Chiefs have the highest Takeaways score (3.53) in the BES by far and finished with the No. 1 BES Defense.